Life mirrors art with the sleeve to the new release. 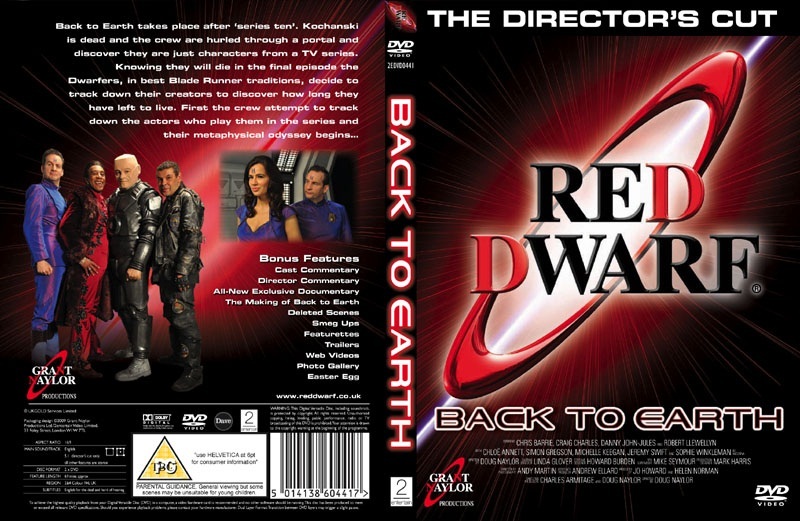 Fulfilling the hopes of every poster who hit our forum after the broadcast of Back to Earth - Part Two insisting that the cover for the DVD release just had to be the same as the one in the show, 2entertain have revealed the box image and... well, you'll recognise it well enough. Admittedly we've replaced the 'Coming Soon' lettering that appeared on the original prop with 'The Director's Cut', plus a couple of logos, but we think you'll agree it's a pretty good match. The packaging will even be the same 'digipack' style you saw in the show! The back cover, however, is a bit of a cheat. 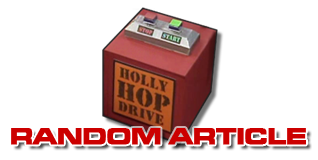 There was no text on the prop, despite the characters reading a plot synopsis from the box, so we've worked a little magic there, incorporating a version of the words Lister reads in the show (seriously, we're breaking through, like, the seventeenth wall by now - who knows what reality we'll end up in!) plus a couple of iconic images. We're going to be bringing you fuller details on those in the coming weeks - but one thing you might spot is the '5.1 Audio' symbol in the bottom corner. 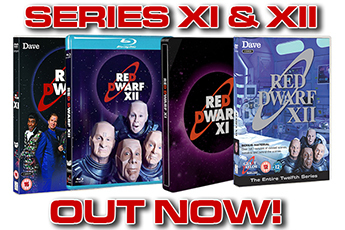 Yes, it's true - Back to Earth: The Director's Cut is presented in full surround sound. It was actually played this way at the premiere, and it's a stonking job. The diving bell sequence, in particular, sounds fantastic - it's like you're actually in the room with a robot, an evolved feline and a huge aquatic beast with slippery testic- um, tentacles. 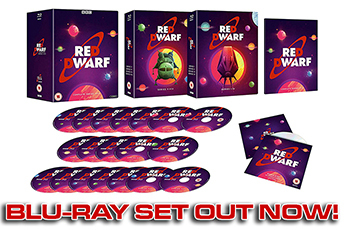 Be prepared for the first Red Dwarf sounds to be coming from behind you this June.